Daily Messes: Happy Belated Birthday, Dr. Seuss! Happy Belated Birthday, Dr. Seuss! March 2 is Dr. Seuss' birthday, as well as Read Across America Day. 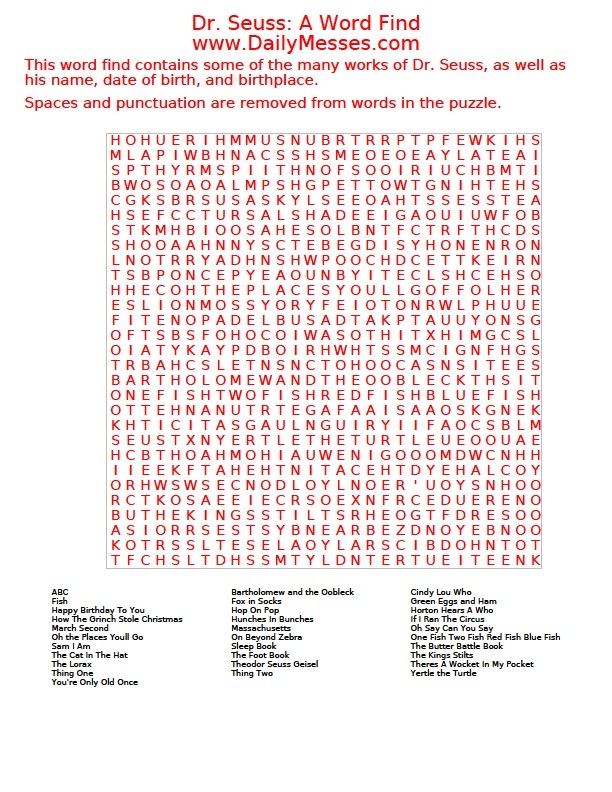 I have a Dr. Seuss word find below. You can also find a few more ideas to celebrate in my Read Across America Day post. Click/Right click on image. Choose Open in New Tab/Window. Click Print. Or, Click on image. Right click. Choose Save Image As to save to your computer. Print saved image.